Here’s a mind map with the topics cheat sheet to prepare for the ISTQB-ISEB Software Testing foundation level exam. You can download the image in A3 size if you want to print out and stick to the wall so you can visualise and try to memorize the topics. Or you can use the mind map I have shared puclic and access using MindMeister with the free registration and look in more details. I have shared this mind map so you can copy and amend if you want to. Your browser is not able to display frames. 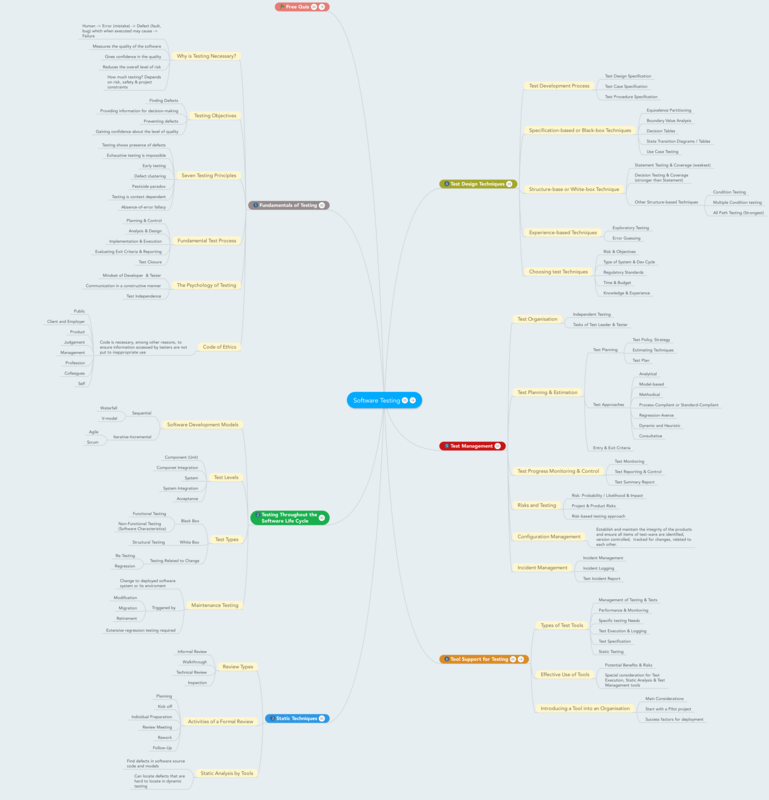 Please visit the mind map: Software Testing on Mind Mapping – MindMeister. Code of Ethics Code is necessary, among other reasons, to ensure information accessed by testers are not put to inappropriate use. Configuration Management Establish and maintain the integrity of the products and ensure all items of test-ware are identified, version controlled, tracked for changes, related to each other.